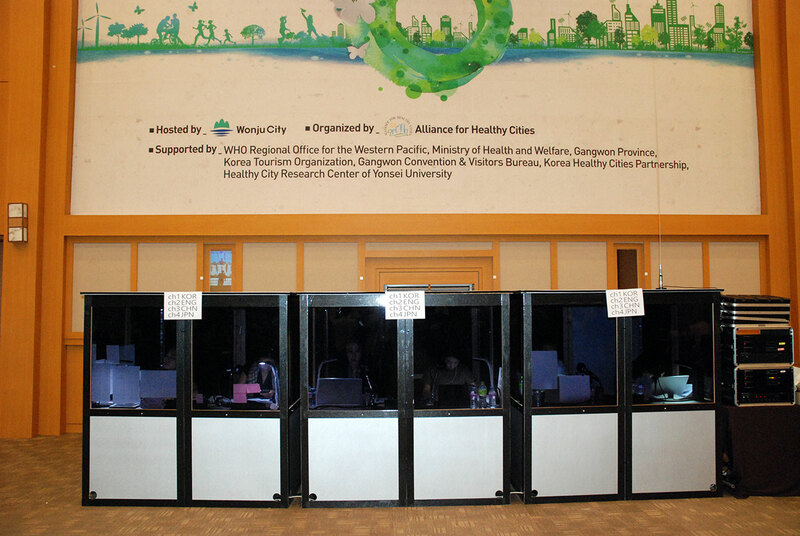 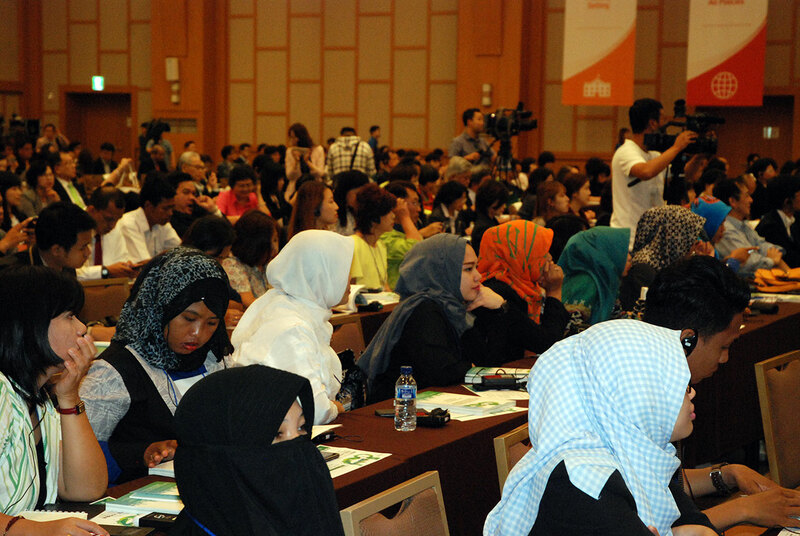 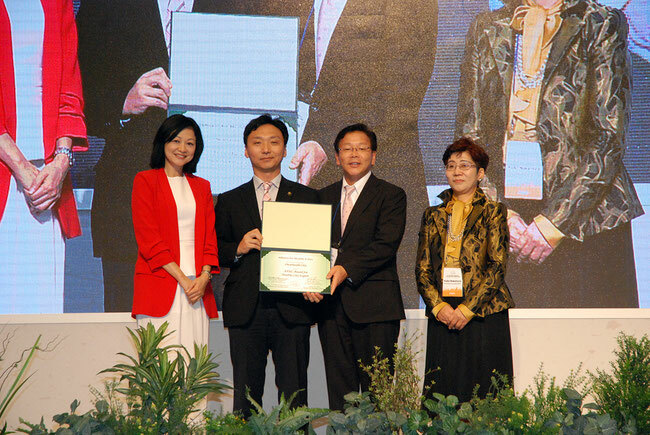 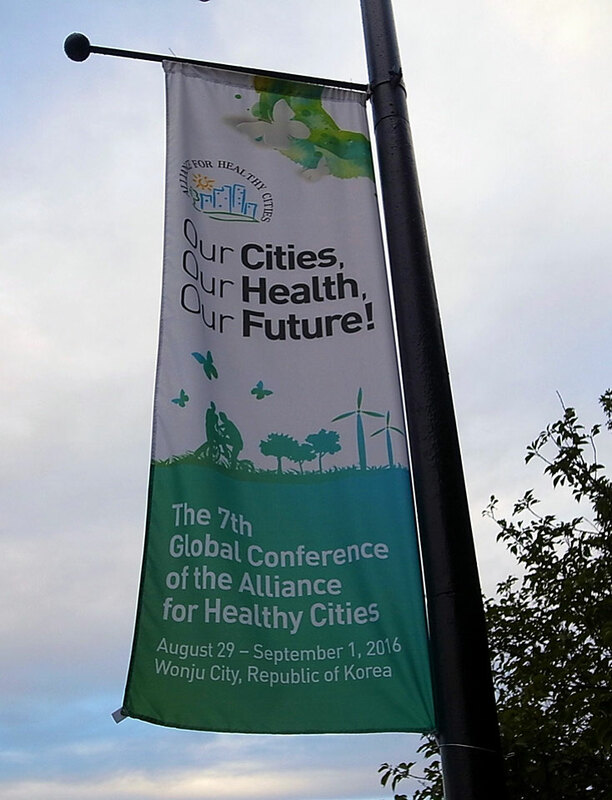 AFHC held 7th Alliance for Healthy Cities International Conference at Oak Valley Resort in Wonju City in Korea from August 29 to September 1, 2016 with 700 participants from 14 countries. 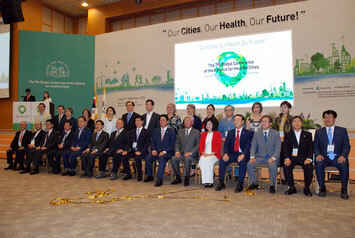 Conference was supported by WHO Western Pacific Region, Koreas Department of Health, Koreas Kangwon Province, Koreas Traveling Association, Korea Healthy Cities Partnership, Kangwon Province Tourism Foundation, Healthy City Research Center, and Yonsei University with main theme, “Our City, Our Health, Our Future” and subtheme, "Healthy Setting (place)", "Health in All Policies", "Age-Friendly Cities", "Health and Suicide Prevention", "Preventing Lifestyle-Related Disease", "Improving Health by Exercise", "Social Factors of Health ", "Smoke-Free City", and "Healing Therapy". 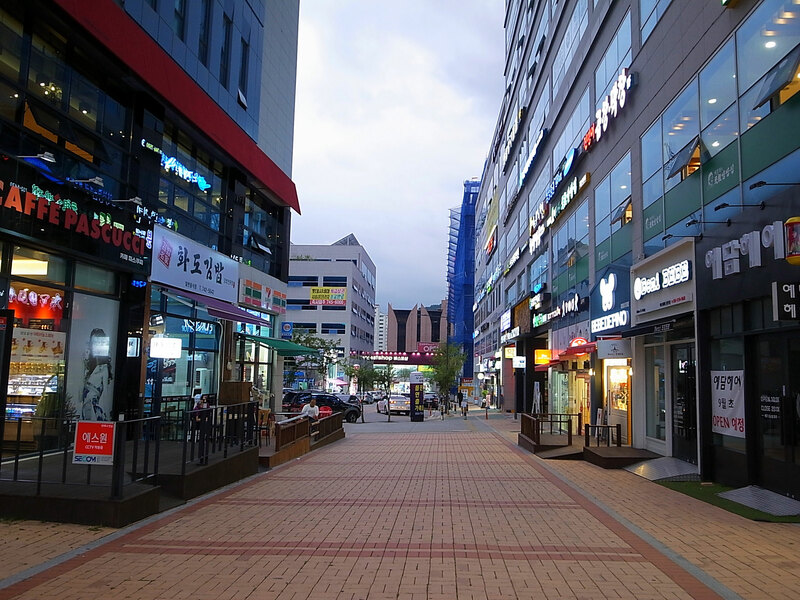 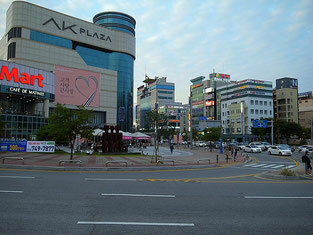 Wonju City is located in Gangwon Province which is adjacent to Seoul Metropolitan Area. 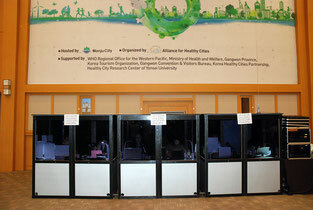 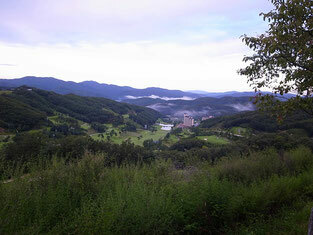 It has 350,000.population with slogan, “Healthy Wonju. This area prospered from ancient as home of paper industry. 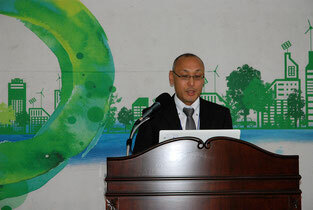 Currently, it is a traffic hub of highway connecting North, South, East, and West, and various industries such as tourism logistics are developing, among which advanced medical equipment industry is focused particularly. 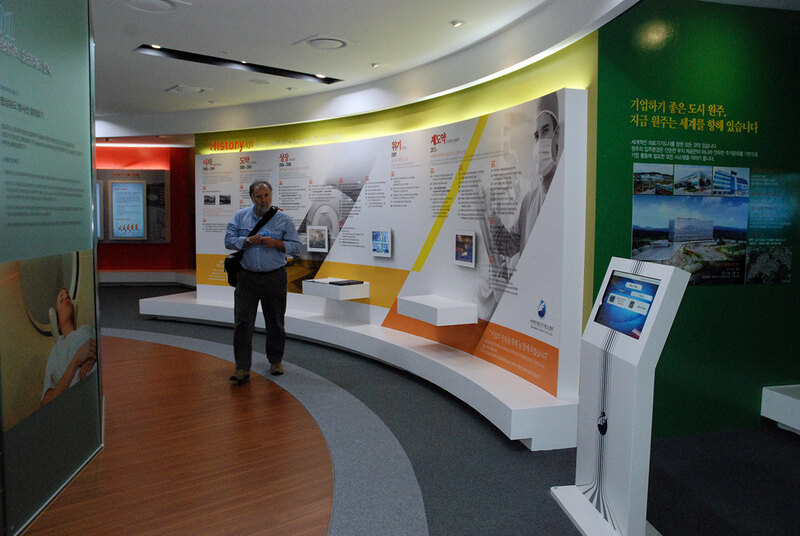 Wonju Medical Equipment Techno Valley Foundation plays central role and the cooperation of industry, university, and government provide one-stop service to medical device manufacturers. 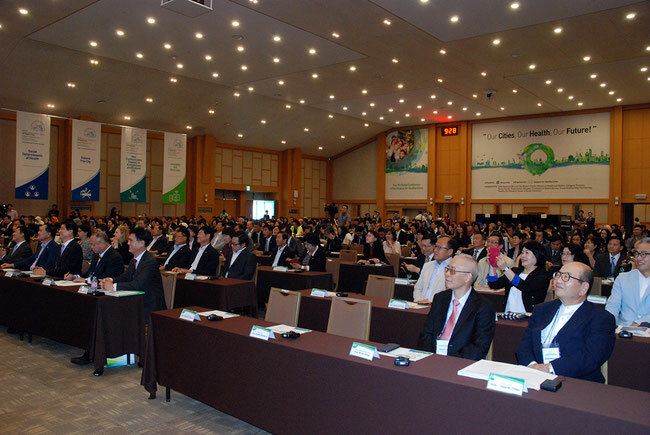 Conference was held both in Oak Valley Resort and in Device Complex Center (MCC) which is the symbol of the medical industries’ cluster zones located 30 km from Oak Valley. At opening ceremony Mr. Weon Chang-mug, Mayor of Wonju City encouraged to share Healthy Cities’ policies and cases which cover living environments, lifestyle, and activities among participants, and proposed to pursue the Sustainable Development Goal and Healthy Resilient Cities which WHO advocates. 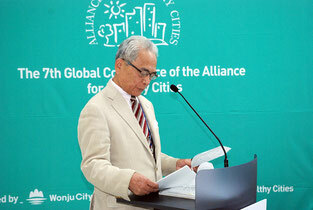 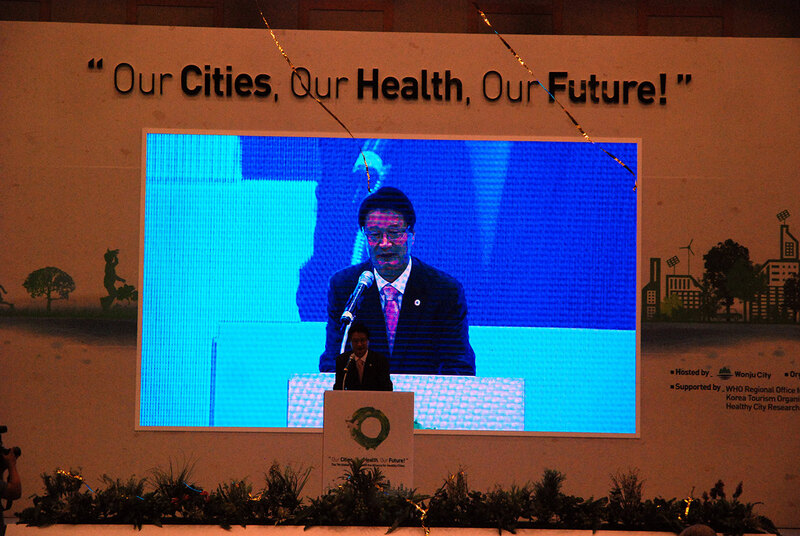 Mr. Lee, Hae Sik, Chairman of Korea Healthy Cities Partnership, and Mayor of Gangdong-gu of Seoul Metropolitan, emphasized the significance of holding the conference in the 10th anniversary of the Korean Chapter, and called each cities to cooperate under Healthy Cities to achieve healthy lifestyle and sustainable development. 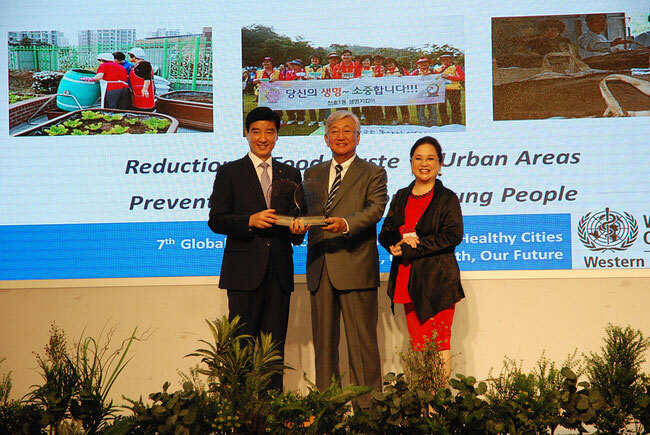 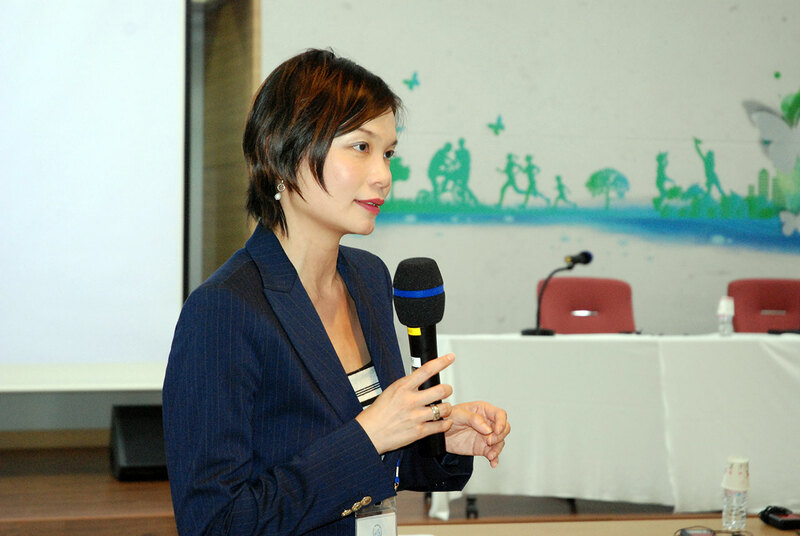 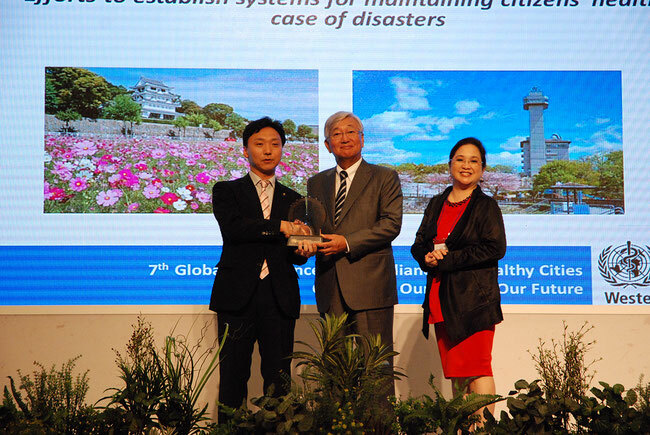 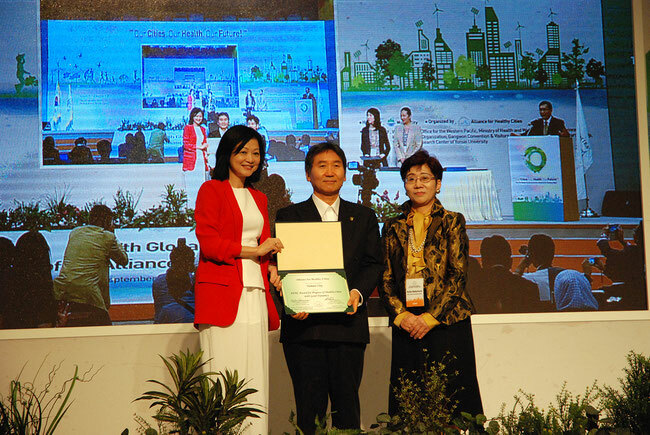 Dr. Shin Young Soo, WHO WPRO Regional Director, made a keynote lecture titled "Sustainable Development for our cities, our health and our future". 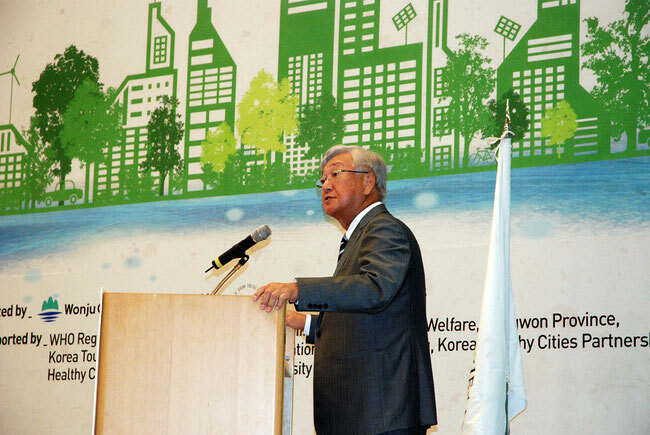 Dr. Shin first introduced SDGs: Sustainable Development Goals. 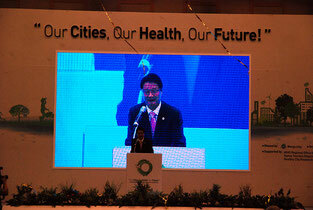 It is WHO’s agenda succeeding MDGs: Millennium Development Goal which was expired in 2015. According to Dr. Shin, MDGs are led by UN targeting for developing countries, whereas SDGs are under the leadership of the government targeting every countries. 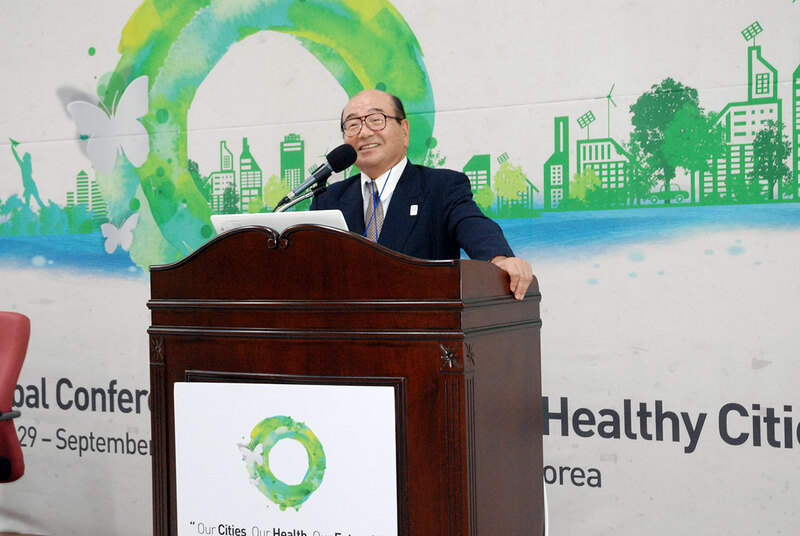 He pointed out that new thinking is needed, and government and all health-related organizations are required to work cooperatively. 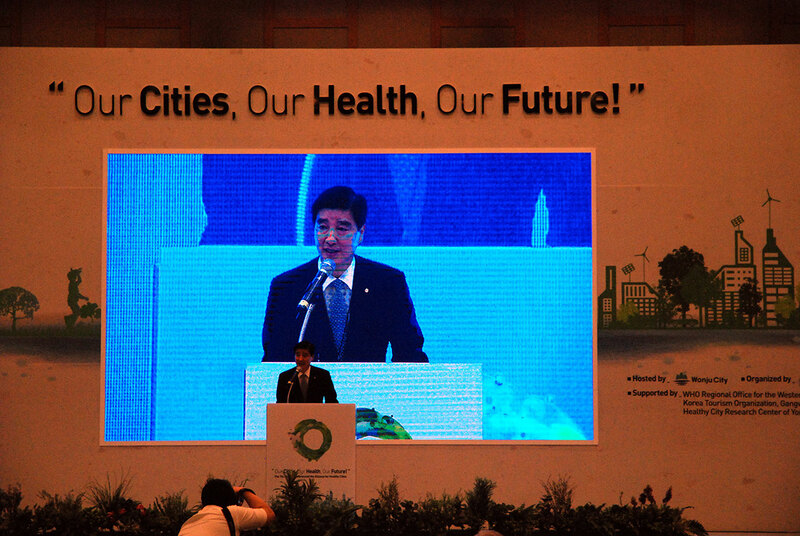 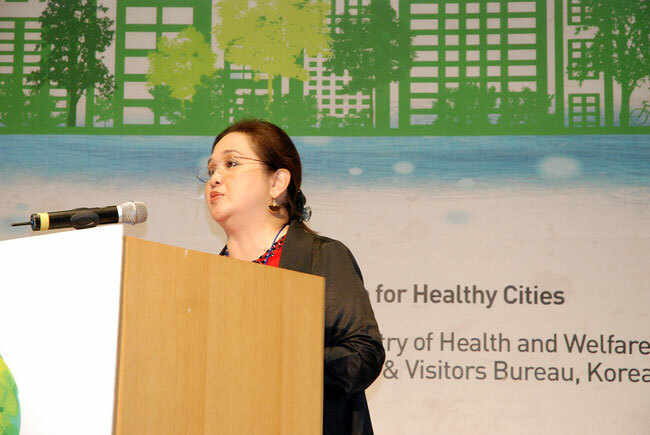 Then, he introduced “Healthy and Resilient Cities (2016 to 2020)”, action plan of WHO Western Pacific Region. 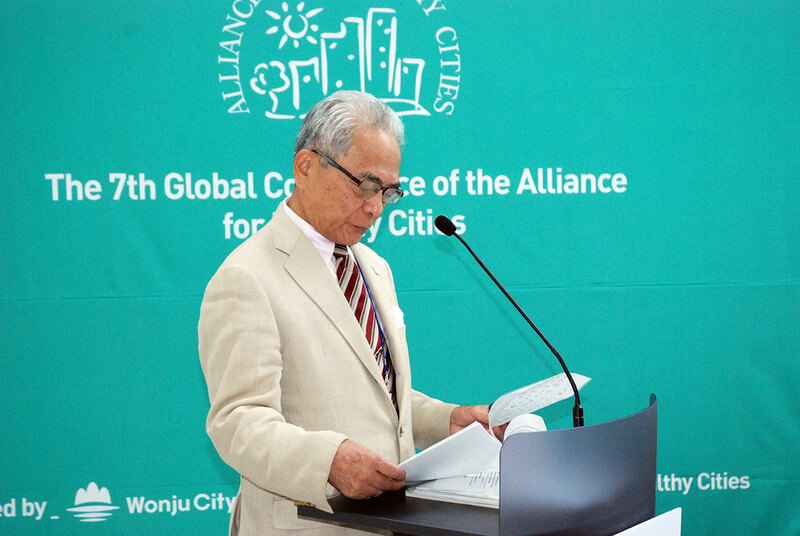 He warns that rapid and disordered urbanization is progressing at side of the global development, and proposed to use big city data to predict future and plan city to realize sustainable environments, sanitation, food safety, dissolution of inequality, and prediction of disaster. Conference provides excellent opportunities to share the best practice by cities and organizations. In Mayors Forum, mayors of Wonju City, Kuching City, Owariasahi City (Japan), Suzhou City (China), Tagaytay City (Philippines), as well as representatives from Healthy Cities Illawarra, Singapore’s Health Promotion Board, made presentations. 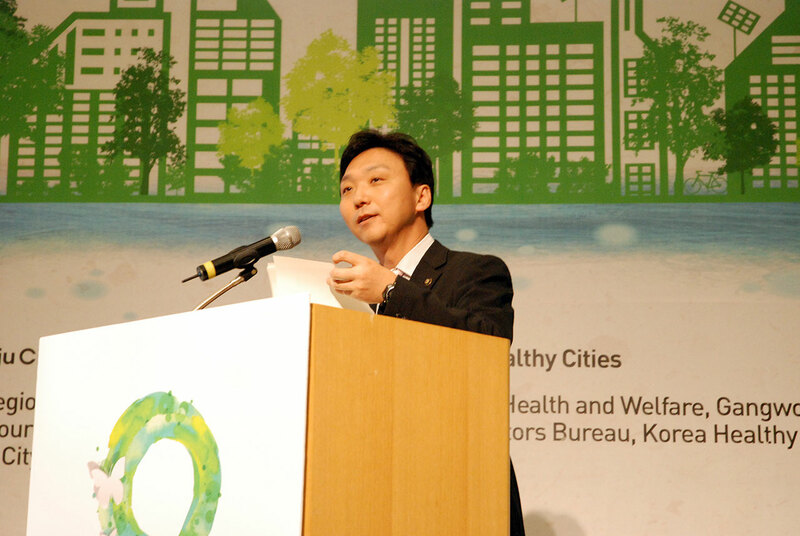 Among them, Mr. Mizuno, Mayor of Owariasahi City in Aichi Prefecture, presented city’s activities to prevent lifestyle-related disease by providing environment suitable for health promotion such as walking course of hilly terrain. Also, he introduced the joints venture with Nagoya Industry University, Nagoya Management Junior College, and Mizuno Corporation as a good example of Healthy Cities initiative led by industry, government, and academic. 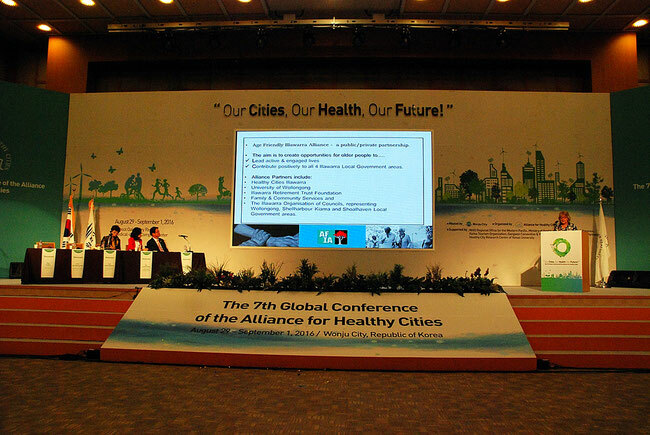 In Parallel Session, and various sessions relating to sub-themes such as "Health in All Policies" were held. 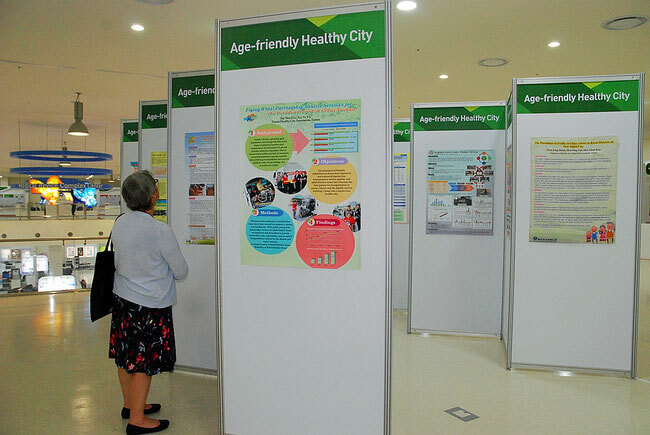 NGO Healthy Cities Support Organization (HCSO) organized a session with a theme of “Healthy Eating Programs for Children Featuring Prevention and Control of Non-Communicable Diseases” based on the International Exchange Program HCSO sponsored and implemented as a part of the AFHC’s projects. Currently life-style diseases such as obesity, diabetes, high-pressure, cancers and etc. are becoming major health issues due to the rapid change of the eating habits and life-style as well as peoples’ aging in the countries such as Japan, Singapore, and Korea. 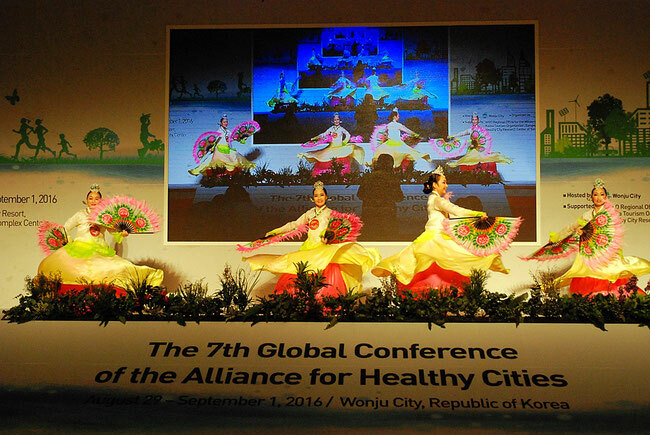 Developing cities are also having common interests in prevention of life-style disease because of change of food and life-style. 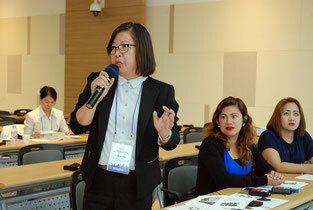 HCSO sponsored and implemented one week-long Study Tour on the subject of Food and Nutritional Improvement in last February for one week on the subject of Food and Nutritional Improvement inviting 10 participants from Cambodia, Philippines, Singapore and Vietnam. 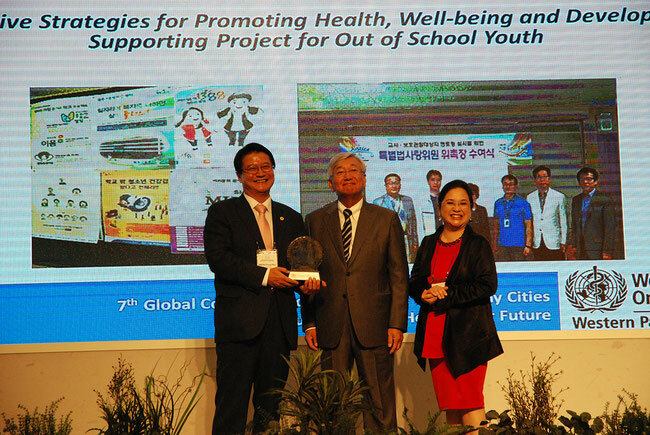 They found so informative and useful in school lunch program as well as community-based activities on healthy food and nutrition with main focus on children having been initiated by voluntary food and life improvement health mates in collaboration with city offices. 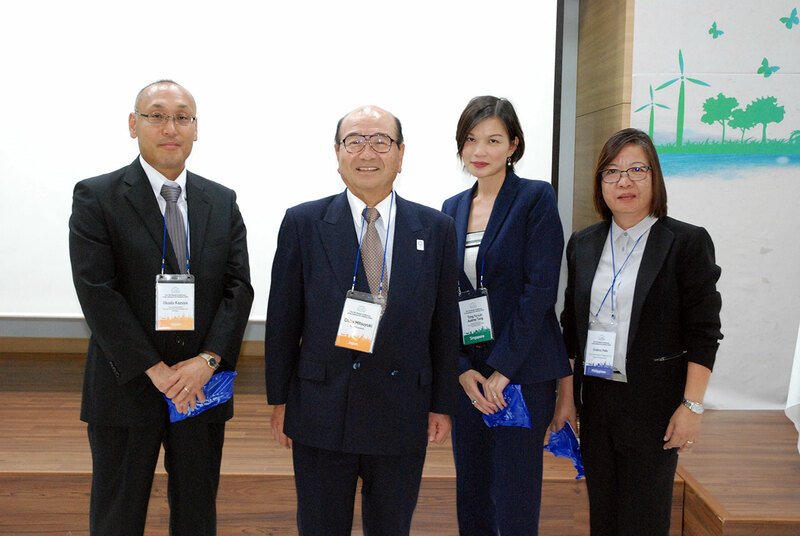 Base on the past program, HCSO invited representatives from Owariasahi City, Tagaytay City, and Singapore, to share the best practice and discuss the way to collaborate further to improve nutrition while preventing life-style diseases. 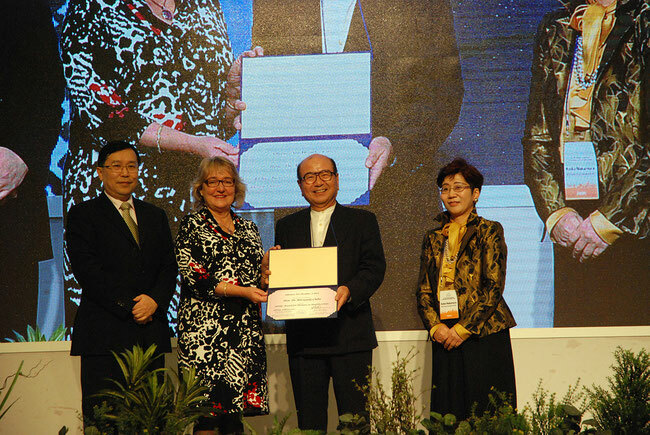 On the last day of the Conference, awards listed below were presented to the following recipients. 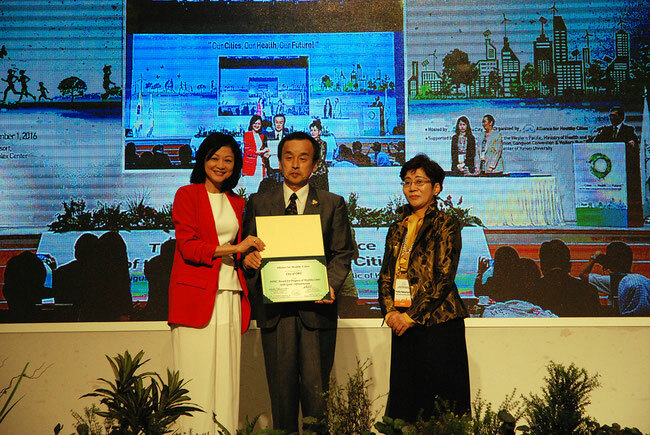 - Logan City "Active Logan Participation Study"
- Owariasahi City "Promotion of Effective Healthy City Policies Based on Periodic Evaluation"
- Tainan Healthy City Association "The World's Healthiest Fast Food: Creating a Breastfeeding-Friendly Environment"
- Taicang City "Exploration and Practice of Self-Management in Community Health"
- Yamato City "Yamato's Home Visits Projects by Public Health Nurses and Registered Dieticians"
- New Taipei Healthy City Promotion "Oral Healthcare Mobile Clinics"
- Taoyuan Healthy Promotion Association "Healthy Eating and Exercising Toward a Healthy Body and Slim Waist"
- Busanjin-gu, Busan Metropolitan City "100 years life expectancy The Dental Health Care Center Tailored to the Citizen"
- Kwai Tsing District, HKSAR "Kwai Tsing Health System - Enhancement of Community Health Care"
- Kaohsiung Healthy Harbor City Association "Kaohsiung Loves Fitness Walking"
- Taoyuan Healthy Promotion Association "Medical Housekeeper for Taoyuan Citizens: Developing Home-Based Medical Services"
- Wanhua Health Promotion Association "Community Based Dementia Coordinated-Care Services for Older Adults"
- Kaohsiung Healthy Harbor City Association "Kaohsiung to promote solar photovoltaic policy to become resilient city"
- Tainan Healthy City Association "Application of Public Utility Database on Disaster Prevention"